The Detroit Lions have made Matthew Stafford a very rich man. The Detroit Lions just made sure they didn’t lose the guy they drafted number one overall back in 2009 to free agency. 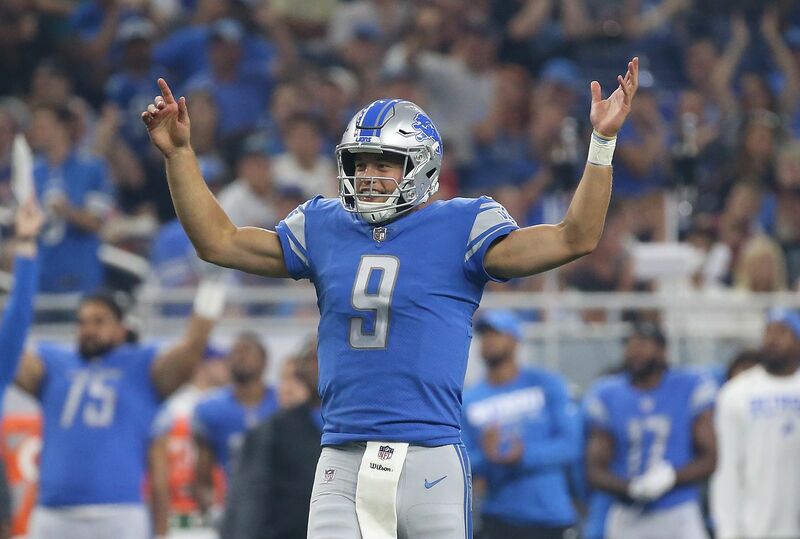 According to Adam Schefter, Matthew Stafford and the Lions have agreed to a five-year, $135 million extension that is going to make Stafford the highest paid player in NFL history. Oakland Raiders quarterback Derek Carr was the highest paid player at $25 million per year, and now Stafford is going to top that. Lions and Matthew Stafford agreed to five-year contract expected to make him highest paid player in NFL history, a team source told ESPN. Stafford has a career record of 51-58 with two playoff appearances. If you ask Lions fans, he and the team were hosed back in 2014. He was bounced again last season in the wild card round against the Seattle Seahawks. We all knew Stafford was the face of the franchise, and in the first year without Calvin Johnson, the front office thought that he deserved every penny. You can’t ignore the big elephant in the room, though. He’s 5-46 overall and 1-26 on the road with no playoff wins against teams that finished with a winning record. That’s crazy to believe seeing as Stafford has 25 career fourth quarter comebacks, and that’s tied for fifth among active quarterbacks. The Lions front office obviously had to take that into account, otherwise they wouldn’t have given Stafford this massive contract. He’s a generational talent no matter how you look at it. When healthy he can make any and every throw, and he has a rocket launcher for an arm. The Lions will not find another guy to replace Stafford, and they made sure they wouldn’t have to. This new contract now opens the door for other quarterbacks around the league. Guys like Drew Brees, Aaron Rodgers, Matt Ryan and Kirk Cousins will now be in line for absolutely massive deals. The quarterback is the most important position on the field, and if you don’t have one you’re already miles behind everyone else.